Having attended the Doctors 2.0 & You conference in Paris last week, Paul Tunnah muses on the convergence of patient engagement and digital health, urging commercial organisations to get closer to the consumer if they want to succeed in healthcare technology. 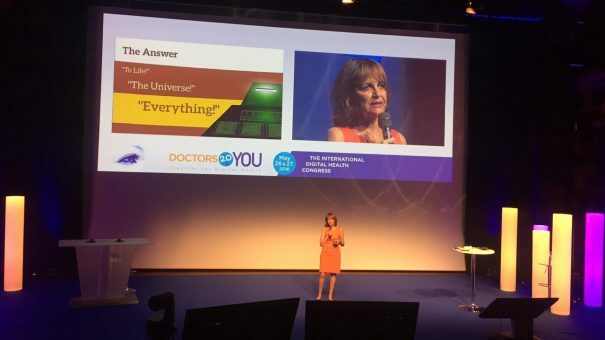 Last week saw me lucky enough to spend a few days in the beautiful city of Paris, attending the Doctors 2.0 & You conference, now in its 6th year and continually evolving. The meeting is truly unique, the brainchild of distinguished digital health expert Denise Silber, and has a feel very different to any other event focused on the emerging technology trends in healthcare, of which there are many. This is partially because of Silber’s personal input and passion for the event, partially because of the beautiful location at Cite Universitaire, but mostly because of the convergence of different stakeholders it entertains. When the title is shortened to Doctors 2.0 (as it is in the official Twitter hashtag of #doctors20) it doesn’t do the event justice, because medical professionals are only one small part of it. As Silber herself explains, “the name Doctors 2.0 & You symbolises our inviting all of healthcare to join together to work on the patient-professional relationship.” And all of healthcare is there – doctors, patients, the pharmaceutical industry, service providers, technology companies etc. Name a healthcare stakeholder and someone fitting that description was there. Denise Silber asks whether digital health is the answer to life, the universe and everything. Well, I can’t possibly do the full programme justice in one short article and therefore recommend exploring the Twitter stream and event website, but it’s ultimately about helping everyone understand how this new digital age can help accelerate medical solutions for patients and improve their interactions with health systems. In doing so, some critical lessons emerge for those working in the pharmaceutical industry. First of all, anyone attending would be left in no doubt that digital health is not waiting for pharma to be ready. 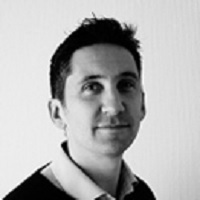 The number, and sophistication, of healthcare technology startups on show at the event grows year on year – and they’re doing some pretty smart stuff, that many big organisations would struggle to implement, at a pace that belies their small size. What better example than the winner of the event’s startup contest, MyDiabby, which, only a year after launch, represents the biggest telemedicine programme in France, allowing doctors in over 50 hospitals and clinics to monitor the real-time health of women with gestational diabetes. The list of other entrants is equally impressive. Secondly, patients are not waiting for the industry to give them what they need either – in many cases ePatients are epitomising the meaning of ‘empowered’ by driving changes in disease awareness, diagnosis, monitoring and treatment through using the democratising impact of social media on communication to crowdsource solutions, crowdfund new developments and crowdcommunicate (that may actually be a new word!) urgent unmet needs. I could mention so many of the great patients attending, but I was particularly moved by the presentation from Emily Kramer-Golinkoff, a young patient facing advanced-stage cystic fibrosis and all the life-threatening implications it brings. In the face of the stark realisation that advances in drug therapy were not moving quick enough to help her (Emily’s genetic profile is not right for some of the recent transformative agents), she started Emily’s Entourage and is seeking to raise funds and awareness to accelerate new trials and treatments in a journey that has taken her to the White House as part of Barack Obama’s precision medicine initiative. I’d urge everyone to take a few minutes to watch the video on her website to understand her situation properly and how to help. Please. Past and present ePatients in attendance at Doctors 2.0 & You. But my final point is one that I cannot accentuate enough. Pharmaceutical companies need to recognise that digital health is a very different animal to the world of medicines development they have always operated in. Delivering new drugs to market is about complex science, highly controlled development processes dealing with qualified scientists, clinicians and statisticians, engagement with prescribers and payers and – finally – a patient being the end consumer (granted, patients are having more input into this full process but it’s early days). Digital health cuts directly to the end consumer – the patient – it moves very quickly and is a highly competitive space. Whether it is beyond-the-pill support, disease education, real-world data gathering, novel diagnostics or therapeutic digital intervention, you need to deeply understand the user experience to get it right. In other words, you can’t do it unless you understand the patient, engage directly with the patient and, ideally, co-create with the patient. I’ll say that again – you will not succeed at digital health, no matter how much money you invest, unless you work with the patient directly. Not via third-party research, not via digital listening and not via fleeting, token advisory boards. You need continual input and feedback from patients to get it right. So to come back to where I started, we need events like Doctors 2.0 & You to remind us that the focus for the pharmaceutical industry needs to be as firmly on the ‘You’ – all of us consumers and patients – as it is on ‘Doctors’. Because you can’t succeed at digital health without properly doing patient engagement and tapping into the broader healthcare ecosystem. Until next month, keep listening to patients and stay well. The official report of speaker interviews from Doctors 2.0 & You can be viewed here. Have your say: How do you think patient engagement fits into digital health?